Nash, somewhat surprisingly, stays in the background throughout much of the film—though an FBI field report excerpt flashed on screen does include her name. She could very well be mistaken as simply being activist James Bevel’s stunningly beautiful wife. A film has its own narrative needs, and I understand that this one very much wants to remain focused on King. But when I saw Selma, I couldn’t help but think of the hundreds of people laying the groundwork for the demonstrations and developing the strategy months or years before the charismatic leaders and the news cameras showed up on the scene. Nash was one of those important trailblazers—she was the main reason King and his organization were there in Selma in the first place. I first learned about Nash watching Eyes on the Prize as a college student in the late 1980s. She comes across as one of most extraordinary figures to arise in the student movement. Remarkable footage captures Nash leading a march in Nashville that culminates in a face-to-face confrontation with Mayor Ben West, who’s compelled by Nash to make a grudging admission that he felt segregation was morally wrong. I marveled at this forceful, determined woman who was about my own age, but had a will that far exceeded mine. I’ve come to know her better in recent years as she’s advised a number of civil rights history programs I have created for the Smithsonian Institution. What strikes me about Nash as she talks about the racial problems she saw a half-century ago (and still sees today) is the powerful anger at injustice that she channeled into non-violent direct action. Hers was an anger tempered by reason, strategic practicality, and a principled belief in peaceful activism. That holds true for many of the veterans of the civil rights movement whom I’ve met: When I hosted Rosa Parks on a tour of the Henry Ford Museum outside Detroit (the eventual home of the bus on which she refused to give up her seat to a white man), she didn’t seem the quiet and composed “Mother Rosa” when talking about injustice. She seemed pissed off. For Nash, it was the bombing of Birmingham’s 16th Street Baptist Church in September 1963 that galvanized her into taking action on voting rights. The tragically famous church where four young girls died going to Sunday School had been a training facility for the Birmingham “Children’s Crusade” organized by Bevel. Nash and her husband had been wrestling with the fact that their activism put people’s lives at risk ever since they became involved in the civil rights movement in 1960. When integrated groups of young men and women organized by the Congress of Racial Equality to ride buses into the South—the Freedom Riders—got beaten and firebombed by Klansmen in Alabama in the spring of 1961, Nash, a co-founder of the Student Nonviolent Coordinating Committee, could have just decided it was too dangerous and stayed away since it was conceived by another civil rights organization. Instead, with Nashville student organizers Bernard Lafayette and (now congressman) John Lewis, she recruited volunteers to continue the rides. When news reached Washington, Attorney General Robert Kennedy, who was eager to keep embarrassing racial violence off the front pages, demanded, “Who the hell is Diane Nash?” and asked his assistant to stop her. But the 23-year-old had made her calculations: The movement was more important than the lives of its organizers. “If we allowed the Freedom Ride to stop at that point, just after so much violence had been inflicted, the message would have been sent that all you have to do to stop a nonviolent campaign is inflict massive violence,” she remembered. So when the bomb exploded in Birmingham, Nash told me that she decided that “a grown man and woman with respect for themselves could not let four little girls be murdered and not do anything about it.” They discussed finding those responsible for the bombing and killing them, but decided their efforts were better directed at getting blacks in Alabama the right to vote and changing the faces of those in power. It was possible to upend the power structure in the state’s “black belt,” where a majority of the county’s population was African-American, if not yet making their presence felt in elections. Of the 15,000 or so black people of voting age in Dallas County (where Selma is located), for instance, fewer than 150 were registered to vote. 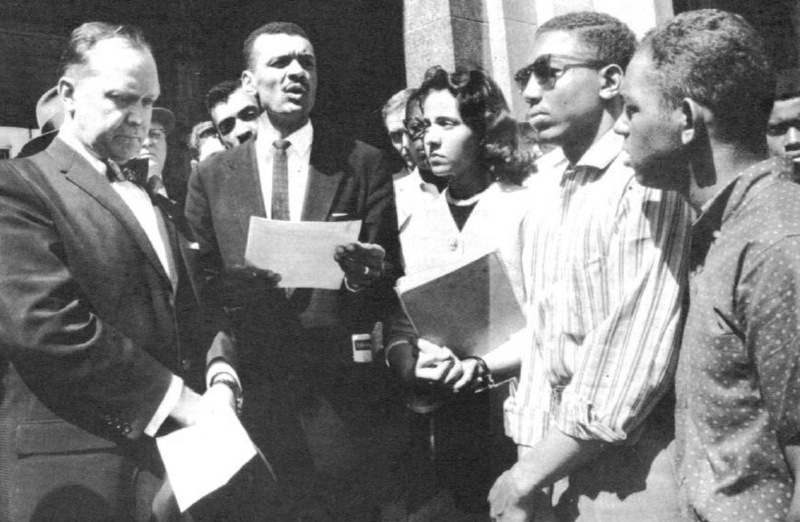 Nash and Bevel also knew there had been local activists in Selma who would be willing to protest and put their bodies on the line, and so they conceived a step-by-step plan that they presented to the Southern Christian Leadership Conference. Nash may not have literally driven King into town, but she did bring him there in a figurative sense. She was a leader in negotiating the tense relationship between SNCC and SCLC, addressed demonstrators at Brown Chapel AME Church (the Selma campaign’s headquarters), planned out where protesters would go and when, and organized logistics. When the tear gas and clubs rained down on the peaceful marchers as they tried to cross the Edmund Pettus Bridge en route to Montgomery on what came to be known as Bloody Sunday, Nash sent runners out to get the medics. As the final march reached Montgomery, Nash marched the last few blocks with King. In August, after the Voting Rights Act of 1965 was passed, King conferred on her and Bevel the SCLC Freedom Medal for conceiving of the crucial Selma campaign. Nash’s story reminds us that the civil rights movement wasn’t just about the names in the headlines, but also about the legions of humble citizens on the ground who took action at great risk to themselves. As for Nash, now in her 70s, she is still determined to remind us that this isn’t all ancient history with a tidy beginning, middle, and end—even after the passage of the Voting Rights Act of 1965. Christopher Wilson is director of the program in African-American history and culture at the Smithsonian’s National Museum of American History. He is also director of experience and program design and founded the museum’s award-winning educational theater program. 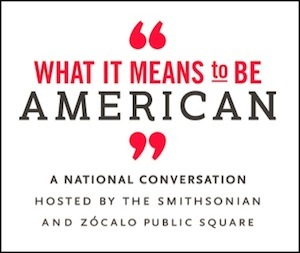 He wrote this for for What It Means to Be American, a national conversation hosted by the Smithsonian and Zócalo Public Square.